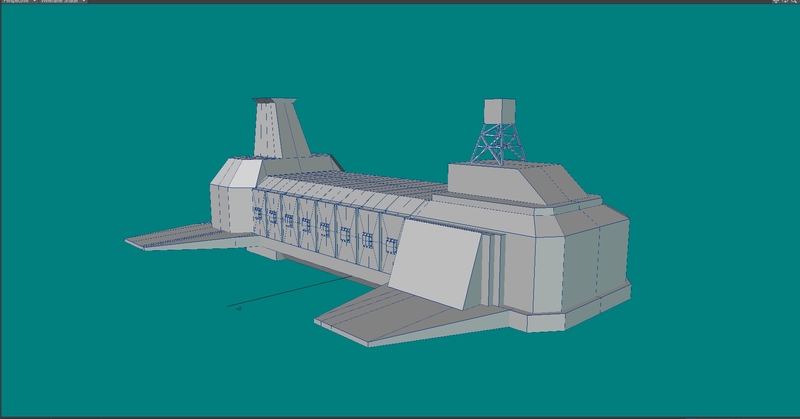 My second Liberator model, no textures, I built this in just over a week, a new record. 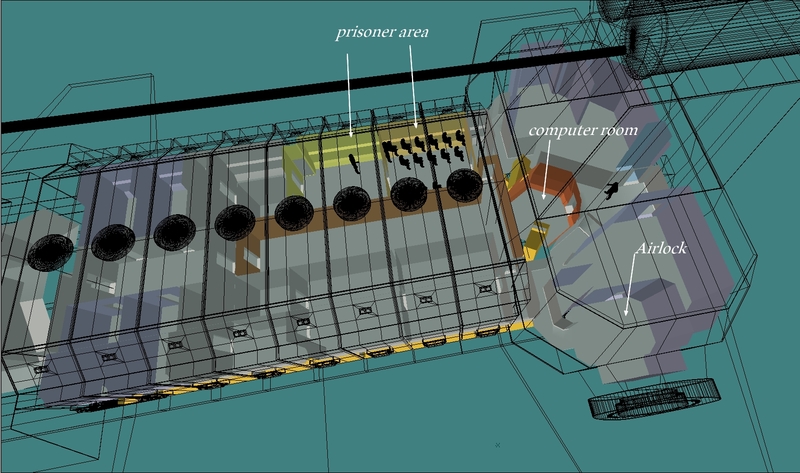 London prison ship is older, 2015 when I was testing its plan and possible layout. Getting closer to completing this design and for me! 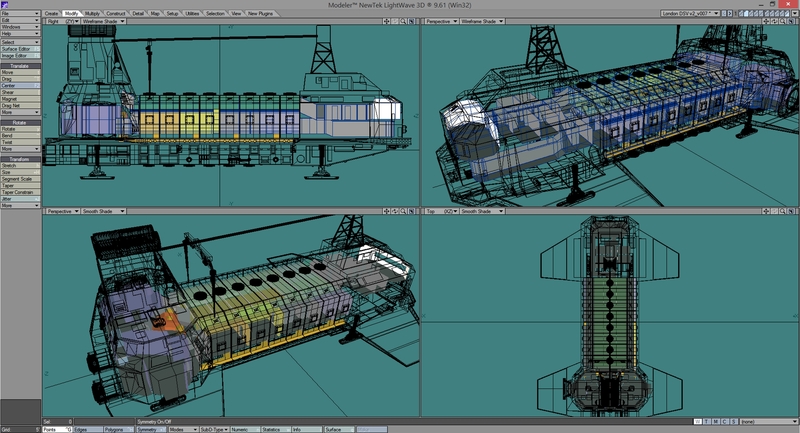 in record time a few weeks, and some of this was taken up with working out the internal layout of the design. I am happy with the results so far. 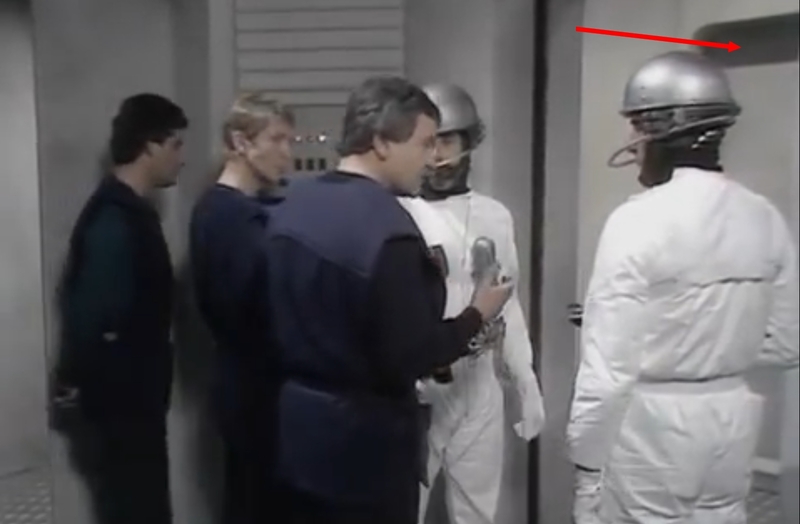 Commander Leylan enters the Airlock section, I am assuming he is entering from the forward section which places the hatch on the Starboard side of the ship, where as the model has it placed on the Port-side aft.. so I am using creative licence and making this change. As with most of my CGI-model work, I like to figure-out the best scale for the fictional design, especially if its never been fully stated, and I have never found a scale in most Science fiction series that work under close examination or even consistent, when using CGI which makes the process much easier to visualise I can try to establish a working scale. 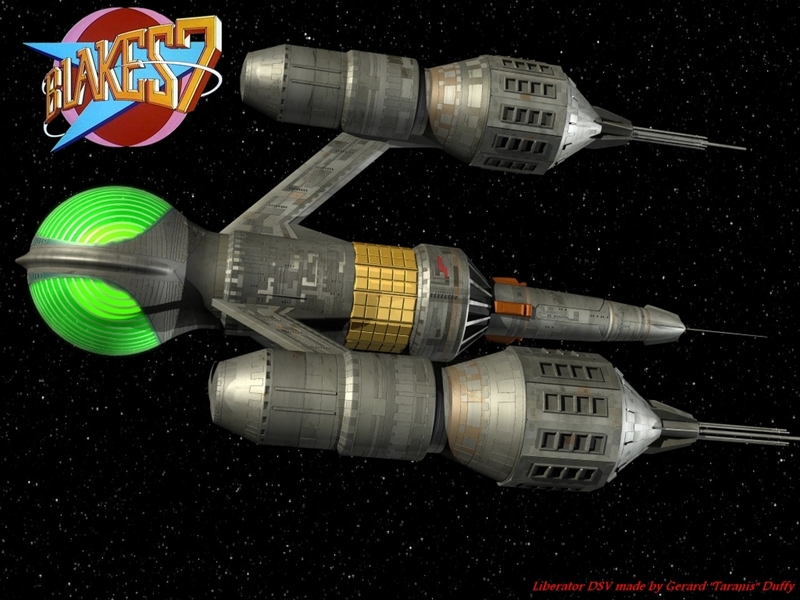 The Liberator has always been something of a mystery when it comes to scale, its a question most fans ask and like I did for the Battlestar Galactica a few years ago, I have turned my attention on Blake’s 7. My approach is to work out a possible scale starting it the Civil Administration ship London was the prison ship that was transporting Roj Blake and the others to Cygnus Alpha, a prison Planet where such people would be dropped via space craft and left to fend for themselves, no guards and no hope of getting off world, once drop there, prisoners would wait in a holding cell and only after the London blasts off into space would the gates be opened and releasing into a very doubtful future, its not helped by the fact that prisoners descendent that have lived there have formed a community rules by a megalomaniac, played by Brian Blessed of Flash Gordon “Alive” fame. The only really guide I can use on the model is the side docking ring, which I have posted in the past. but then there is no harm posting again. 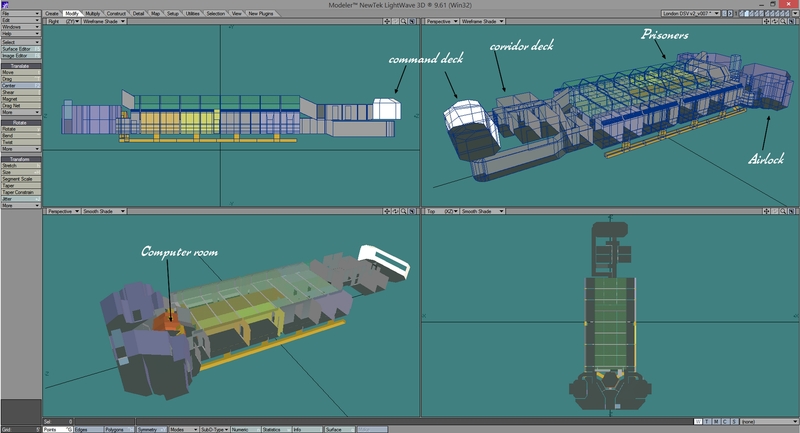 While this was useful and the docking hatch is very useful as a guide, I still needed to play with the scale to fit other aspects from the London sets, so at best compromises where needed, these are my results, (I am not going to say final, it never ever works out that way). For those of you who have never watched the show, this means absolutely nothing, but to help visualise what I am trying to do is fit the live action and sets with the miniature, which is at best difficult and next to impossible. This is a character called “Nova” , its sounds scifi so it must be good. 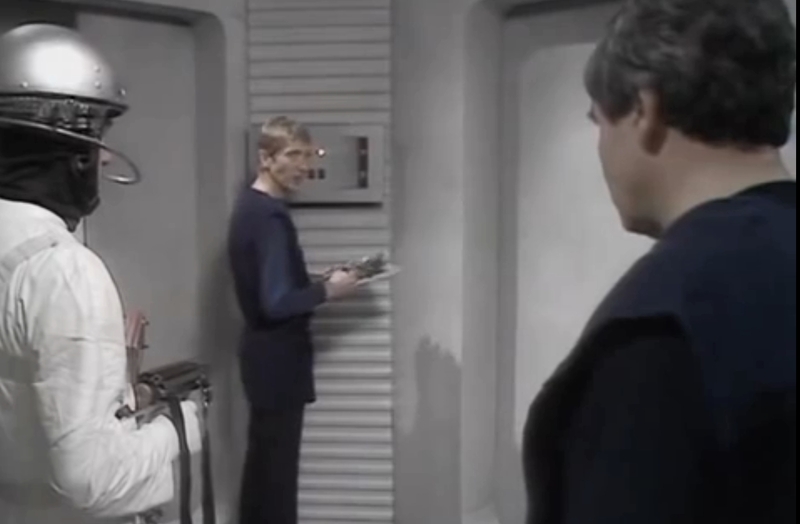 anyway he volunteers to follow a key character called Avon to the Computer room so they can take over the ship, and meets a sticky end, basing on the direction he takes I have placed the computer room at the rear of the ship. 08. Fear as he knows well that the foam will trap him and solidify entombing him. These plan views of the London are my attempt to show how things could be arranged and how I am now using a over all length of 49 meters or 160ft for the London which will also effect the over all length of the Liberator. 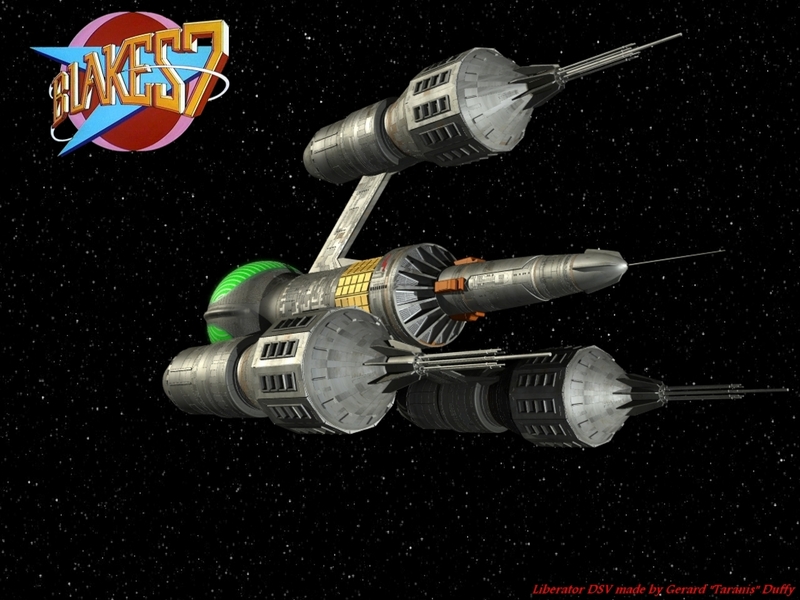 In 1978 a new British science fiction series aired on BBC 1 called Blake´s 7 and like Star Trek was very popular with science fiction fans. another common theme with Star Trek is it had a very small budget and at times looked it, but that did not detract from the top story and character development of the two main men, Blake and Avon. 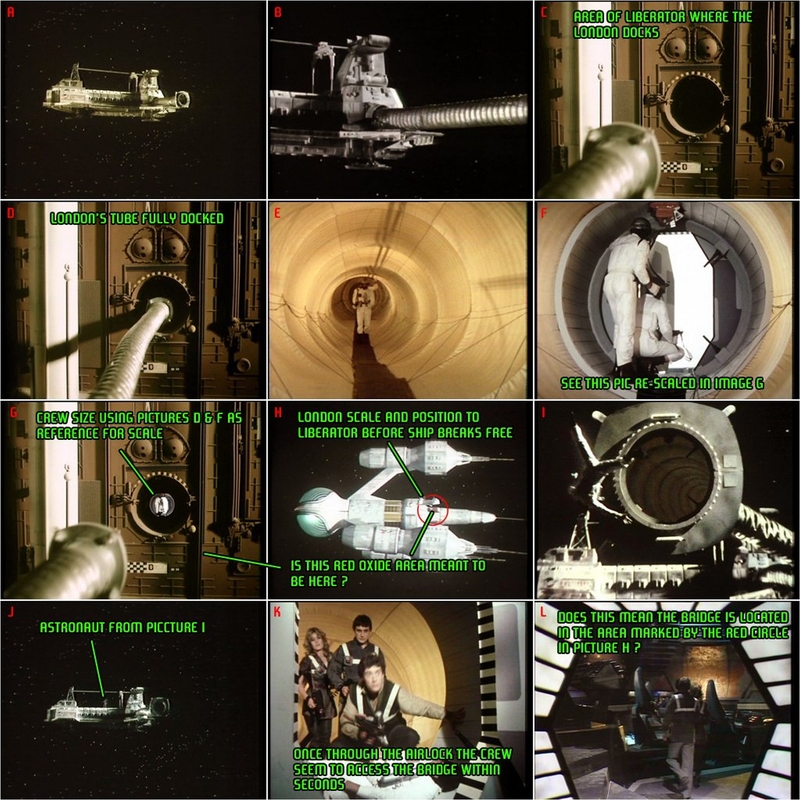 The star of the show was also the Liberator, I loved the design from the moment I saw it on my TV screen back in 1978, watching with my father who had called me into the living room to watch. 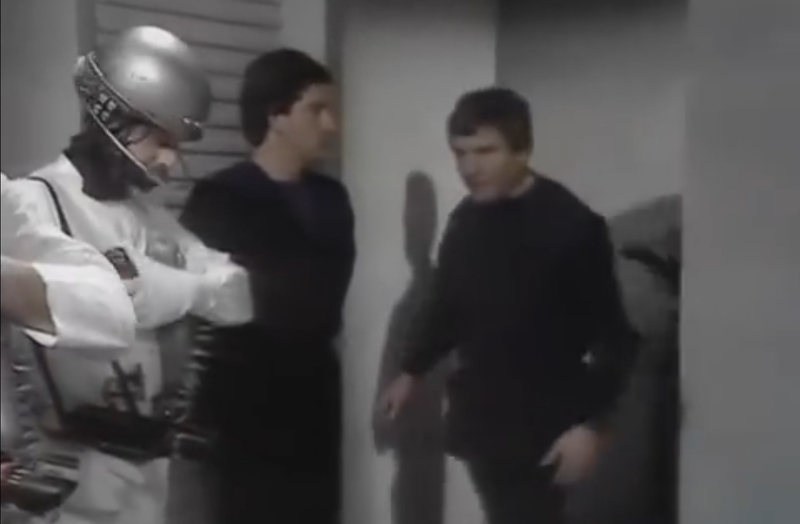 I liked Blake and Avon as they battled over control of the crew as they entered a guerrilla war with the Federation (what? 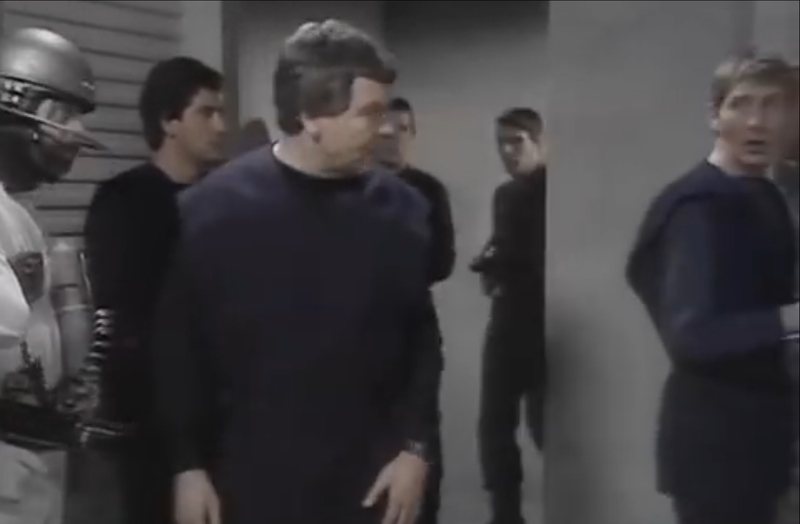 the federation, they are the good guys in Star Trek, what happened? 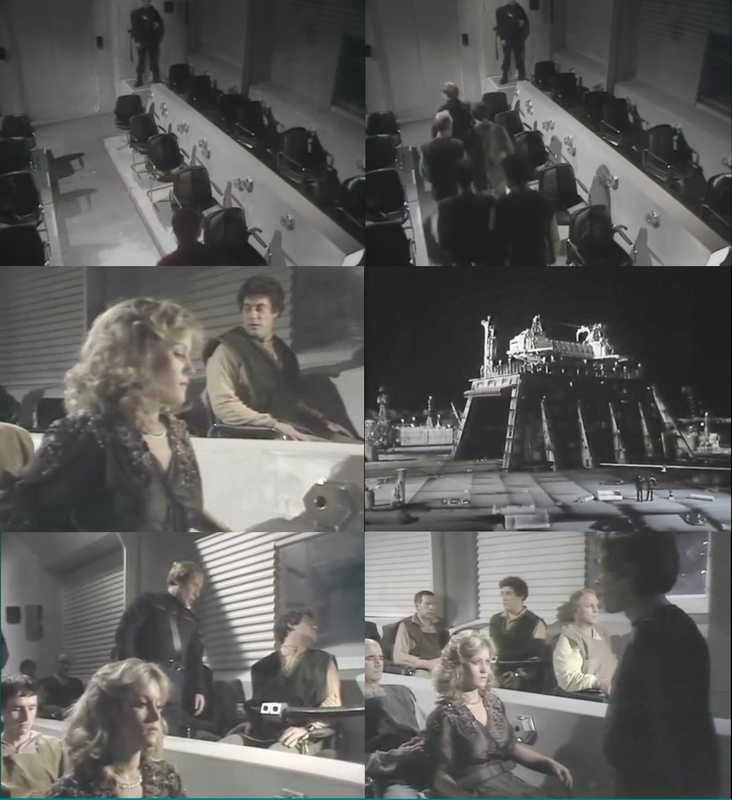 I remember thinking, ah innocence) the lovely Jenna, the cowardly Vila, the powerful Olag, the insightful Cally and the ships interactive computer Zen. 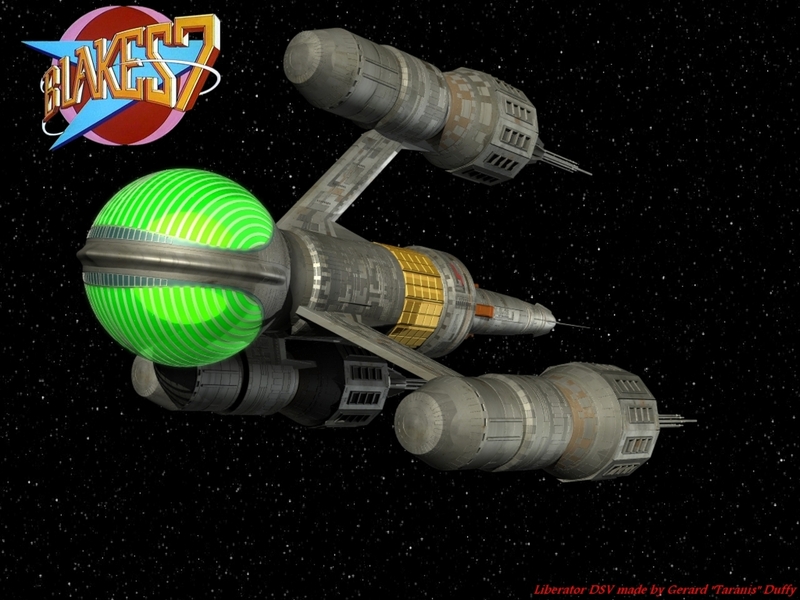 Worst part in the series was the destruction of the Liberator, as legend would have it, the series was not to be taken up again and so the ship was destroyed in a climatic end, once the show was renewed enter the Scorpio nice design or at least interesting, but no Liberator. 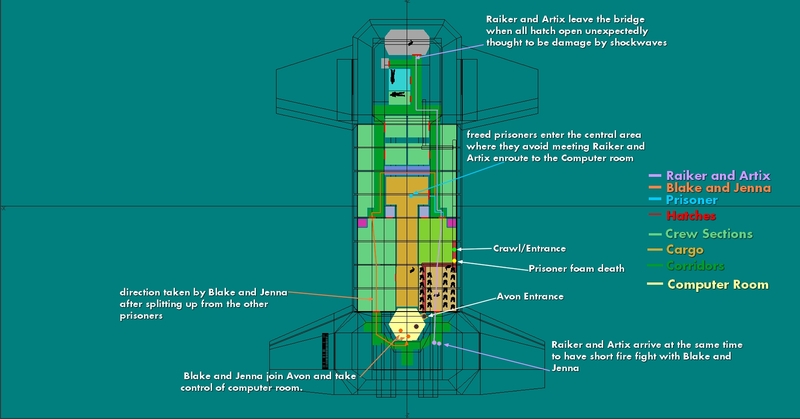 Again a design I like a lot, It was destroyed in the 3 season as far as I remember and I lost interest in the show from that point on and I was sorry that the actors playing Blake and Jenna left the show and it stopped working for me even then, as Avon needed Blake for the character to work.